As you can tell from the title of today’s blog post, I have finally gotten back to some sprite work for GENBA no Kizuna. After working some more on the script and the Main Hall, I have decided to tackle the rest of the assets for the scene following the events of our demo. 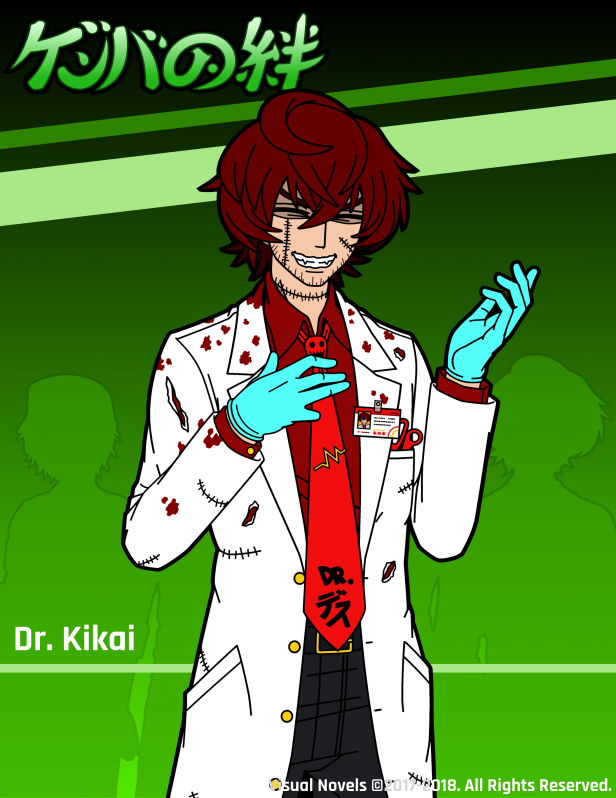 In it, Keiichi will come across our rather eccentric medical examiner Dr. Shinketsu Kikai. So over the past couple of days, I’ve been working on his sprites and thought I might as well share some work-in-progress glimpses with you! First off, here are a couple of new facial expressions. From left to right, we have Amused, Disinterested and Pout. The expression here is not the one that will be used for the pose in the final game. This pose is for Shinketsu’s Fascinated sprite variation, but the expression for that has not been finished yet. I’m not too satisfied with it yet, so it needs some more work. Which is why I’ve opted to just use the Amused expression for presenting purposes. Please keep in mind that all of this is still a work-in-progress. Although I’m pretty satisfied with everything shown here, some details might still be adjusted before I send these off to Natsu for coloring. Anyway, as of right now, Shinketsu will have seven different sprite variations. He will definitely get more later on, but this is the amount needed for his scenes in the extended demo. 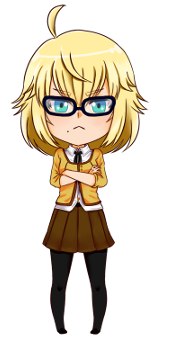 I will continue working on them until they are finished and afterwards tackle Rei‘s sprites. Let’s see how far I will get over the course of the next week! Anyway, I guess that’s about it for today. If you want to learn a bit more about Shinketsu, you can actually check out the script for his introduction scene over on Patreon. And speaking of Patreon, I have recently published a special blog post talking about our very first visual novel project (which never got released). I talk a little about the plot, characters and even show off some assets and design sketches. So if you’re curious about how exactly we started out as visual novel developers, maybe it might be of interest to you!